Nonetheless, with the popularity of “Viking chic” pop culture like the History Channel’s television series Vikings as well as a weird, heavily merchandized nerd subculture of Viking LARPing, the assault on Lindisfarne and the Viking raids of the 8th and 9th century seem like a humorous and harmless experience of typically medieval violence. 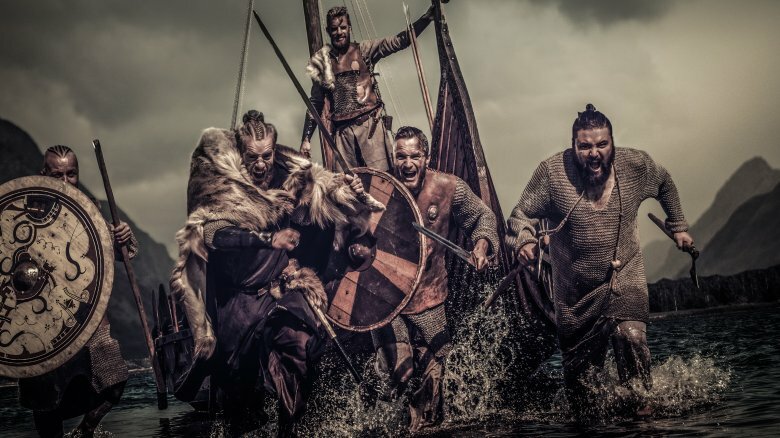 However, for those throughout Europe, the Mediterranean world, and even, quite possibly, North America, who experienced the rough wrath of the Norsemen, the Viking raids and conquests were anything but pleasant. It may not surprise us after all that Anglo-Saxons, themselves the earlier conquers of Britain (as Alcuin himself admits), did not like to be harassed and butchered by the Vikings. However, what is perhaps most shocking to us “post-millennials”—especially as Catholics—is that the Church actively supported and prayed for strong resistance to the Viking invasions. 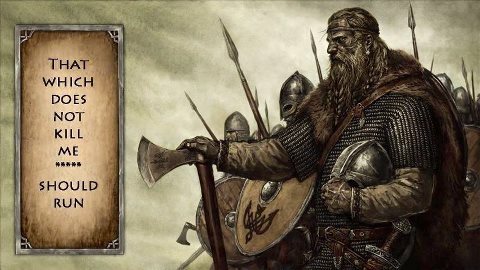 Indeed, as a profound symbol of this Catholic resistance to Viking invasion, after the sacking of Lindisfarne, the phrase, “A furore Normannorum libera nos, Domine,” (From the fury of the Northmen, deliver us, oh Lord), was added to the Anglo-Saxon liturgy. The fact that Catholic monks and nuns would pray for the victory of an indigenous or, in the case of Anglo Saxons, semi-indigenous, people over an invading force is especially curious in our own day, for the bulk of Catholic clergy—even “conservative” prelates and clerics—support the invasion and conquest of the United States by a foreign people. While throughout the eighteenth, nineteenth, and early twentieth centuries, immigration into the United States consisted largely of European Christians, since the 1965 Hart-Celler Immigration Act, (in)famously peddled by the late liberal Catholic senator from Massachusetts, Edward “Ted” Kennedy, immigration to America has had a decidedly different character. It is not simply that the newcomers were not of the traditional European Christian stock that had defined the nation since its inception, rather the new waves of immigrants were part of a deliberate effort to alter the nation’s moral and political character, and, as we will see, the United States Conference of Catholic Bishops or “USCCB” has played a crucial role in the intentional demographic, cultural, political, and economic terraforming of the United States of America. Are you subscribed to The Remnant Newspaper? The March 31st Issue is online right now! Senator Kennedy and President Johnson could not have been more wrong. The demographic and cultural reality of America has radically altered beyond recognition throughout much of the country. In 2015, the US census reported that 44 Percent of Californians speak a language other than English at home. California, Texas, Hawaii, and New Mexico are now, to use, an Orwellian expression par excellence, “minority-majority” states, or states in which non-ethnic European people make up the bulk of the population. In fact, with current demographic trends, Americans of European descent will become a minority in the country their ancestors built by 2045—if not before. With the balance of power shifting from Western Christian to non-Western peoples of a host of varying religions, many worry that history may repeat itself and ethnic European Christians in America may face a similar fate to their co-ethnics and coreligionists in countries like Haiti, Zimbabwe, and South Africa when the power shifted. As sort of dress rehearsal for the coming shift, crimes committed by migrants against Americans occurs in tremendous numbers, and, mirroring a disturbing phenomenon in places like Zimbabwe and South Africa, violent migrant criminals are often let off scot free—as in the notorious Kate Steinle case. Indeed, the deliberate and targeted violence committed against Americans by many immigrants is so pronounced and ubiquitous as to make “linking” to them in an online article ultimately futile. Many Westerners, feeling under attack, have turned to strange and dangerous neopagan movements on the internet, hoping that the “old gods” will return and protect the men and women of the West from extinction. As is evidenced by the recent Christchurch shooting, many young people have become radicalized on these sites and social media feeds to the point of triggering them into acts of vigilante violence. Ironically (or perhaps not), these acts of violence have only increased the attack on West Christendom by encouraging Western governments to further promote foreign cultures and religions on their soil—the once Anglo-Saxon Protestant country of New Zealand recently encouraged its people to LARP as Muslims and engage in a “call to prayer” as a means of atoning for the violent acts of disturbed individuals. Listing these deeply troubling phenomena is not, however, to place the blame on migrants themselves. Like the earlier waves of European immigrants to the United States from countries such as Italy, Ireland, and Poland, the current waves of immigrants from Latin America, Africa, and Asia consist of a host of different people of varying temperaments, many of whom have served America loyally in uniform and who have a strong devotion to our country and its traditions. The real culprits in the demographic and cultural transformation are the leftwing foundations and groups who have deliberately altered the country over the past sixty years to cause social friction and to provide votes, in the United States, for the Democratic Party. Case in point is the Somali invasion of Minnesota. Since September 11, 2001, 97,000 mostly Muslim Somalis have come to the United States legally; many of these migrants have settled in the formerly culturally unified state of Minnesota swelling the population of Somalis in the state to over 80,000. The presence of such a large population of Muslim Africans in a formerly stable Midwestern state has had the predictable result. Migrant crime has risen significantly in Minnesota cities—the most notorious case being the brutal murder of an Australian woman by the Somali police officer Mohammed Noor. Moreover, with plenty of coaching from Democratic Party operatives, the Somali population has turned into reliable Democratic Party voters, even fielding the first Somali U.S. Congressman, Ilhan Omar. But our friend George Soros is not the only one investing in migrants. Whether legal or illegal, loyal or disloyal, criminal or innocent, migrants pouring into America have no greater group of friends than the United States Conference of Catholic Bishops, who have a long history of providing moral support for the political left. Lending a hand to the Democratic Party’s attempt to swell their ranks with voters with the 1965 Hart Celler Act, American Bishops inaugurated the Migration and Refugee Services program in 1975, which was later followed by organizations such as the Catholic Legal Immigration Network as well as Catholic Charities. The USCCB has also emitted a tremendous production of documents arguing in support of the demographic and political transformation of America, including the cringe-worthy titled “One Family Under God” (1995), “Welcoming the Stranger among US: Unity in Diversity” (2000), and “Strangers No Longer: Together on a Journey of Hope” (2003). The argument of all of these documents is, in essence, that, although the US theoretically has a right to defend its borders, America (and all Western countries, for that matter) must allow any and all immigrants into the country, and, if Catholics don’t support de facto (if not de jure) open borders, they are guilty of a serious sin against charity. Not content with spilling ink in support of the social disintegration of the United States, liberal Catholic prelates have been at the forefront of “civil disobedience” of U.S. Immigration laws since the disgraced head of the Lost Angeles, Roger Cardinal Mahoney, proclaimed on Ash Wednesday of 2006 that he would instruct the members of the LA Archdiocese to resist H.R. 4437, which criminalized the aiding and abetting of illegal immigrants. 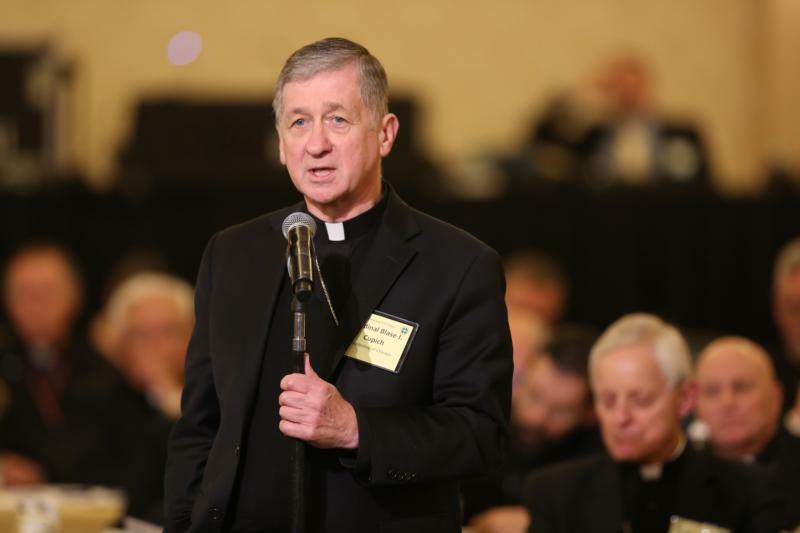 Contemporary Catholic newspapers are thus filled with aging liberal bishops, who, following in Cardinal Mahoney’s slimy wake, stage protests on the border in support of “just a few million more” migrants into our country. 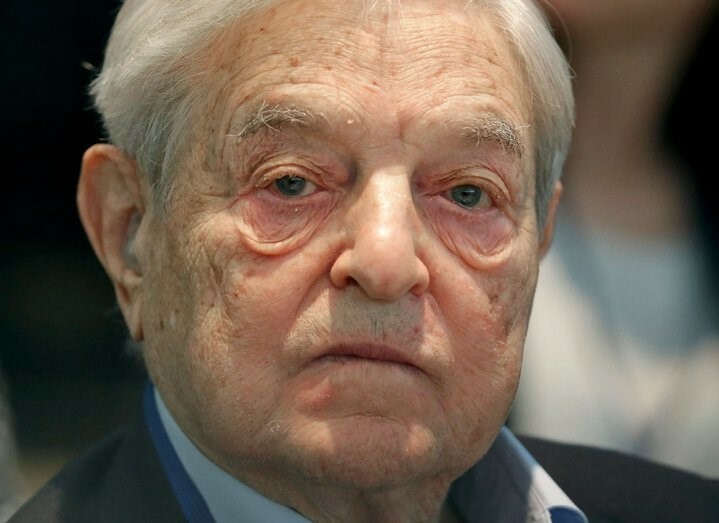 While Catholic leaders might protest they are merely following Christ’s injunction to “feed the hungry,” and that it is purely a coincidence that left wing billionaires like George Soros are pushing migration as tool to reshape the West, there may be more here than meets the eye. As has widely been reported throughout the conservative press, the US Catholic Church has received a lot of money from the federal government, over $1.6 Billion dollars, in fact—including $91 million dollars from the Obama administration to help settle refugees. It is not merely the federal government that has been paying the US bishops to support mass immigration; examining ties between Catholic groups and none other than George Soros, reveals that there is even private money coming into “Catholic” organizations pushing immigration, which has devolved into a situation not unlike the Viking invasions of the eighth and nineteenth centuries. Recognizing the positive contributions to America from many “post-1965” immigrants—including and especially Catholic immigrants, we must admit that the current “migrant crisis” looks and feels very much like the Viking invasions that terrorized the peoples of the early Middle Ages—to the point at which the very social fabric of our nation and entire civilization is threatened. Moreover, the rise of the neopagan so-called “Alt Right” on the internet has only acted as a dialectical catalyst to the left further promoting the disintegration of our civilization by conjuring the old gods of paganism, who themselves trigger and provoke the further worship the new gods of diversity and multiculturalism. Christians in the West are thus under assault from four sets of barbarians: their own degenerate and treasonous governments, the often violent waves of recent migrants, the Alt Right, and, finally, the Novus Ordo leadership of the Church. Ultimately, what is most tragic about this whole affair is that, with a few exceptions, the bulk of the Church does not seem to be on the side of American Catholics, and Catholic leadership in America has (once again) betrayed the America people for thirty pieces of silver.